A letter sent in Miss Berry's absence discussing a newspaper article about the mountain children. 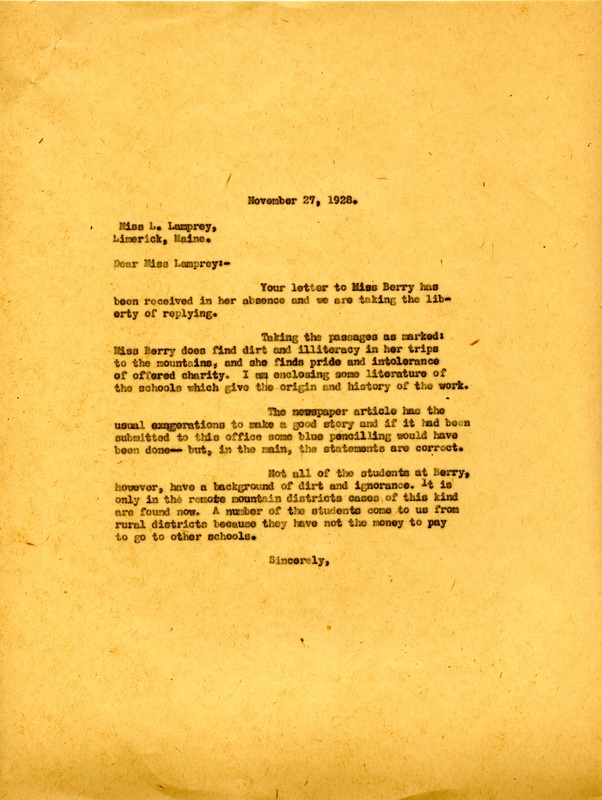 Miss Martha Berry, “Letter to L. Lamprey from Martha Berry.” Martha Berry Digital Archive. Eds. Schlitz, Stephanie A., Meg Ratliff, Bob Williams, et al. Mount Berry: Berry College, 2012. accessed April 24, 2019, https://mbda.berry.edu/items/show/8191.